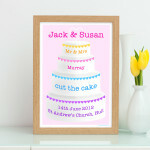 Help celebrate ‘cutting the cake’ at a wedding with this irresistible personalised wedding print. This beautiful gift will take pride of place on the wall of any newlyweds, as it looks good enough to eat. The design features a delicious four tiered wedding cake with heart decorations in yellow, pink, blue and purple. 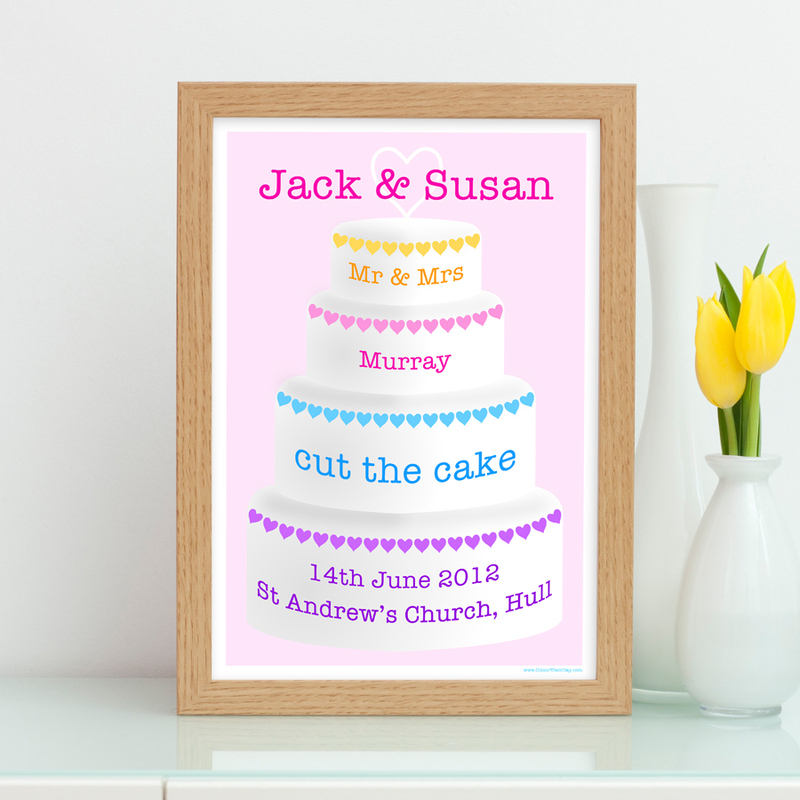 Personalised with the couple’s names, surname, wedding date, church or place where they were married and the town or city where they were married. The print is available in A4 unframed, A4 framed and A3 unframed and with a background colour of blue, pink or lilac. Enter the two names you would like on this print. 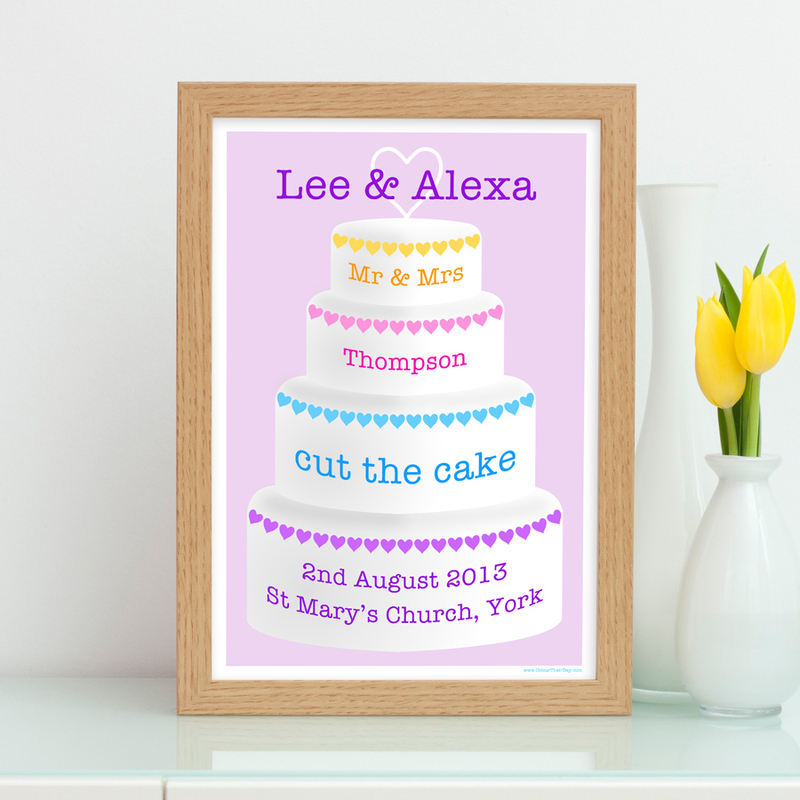 Please select below if you would like to see what your personalised print will look like before it is printed. If you select yes, please ensure your email address is filled in correctly during checkout and that you reply to the email we send promptly. Otherwise, your order will be delayed. Please note, any long words will be printed smaller. Be the first to review “Cut The Cake Personalised A4 / A3 Wedding Print” Click here to cancel reply.